What the hell is going on at this wedding? Why are they all so angry? 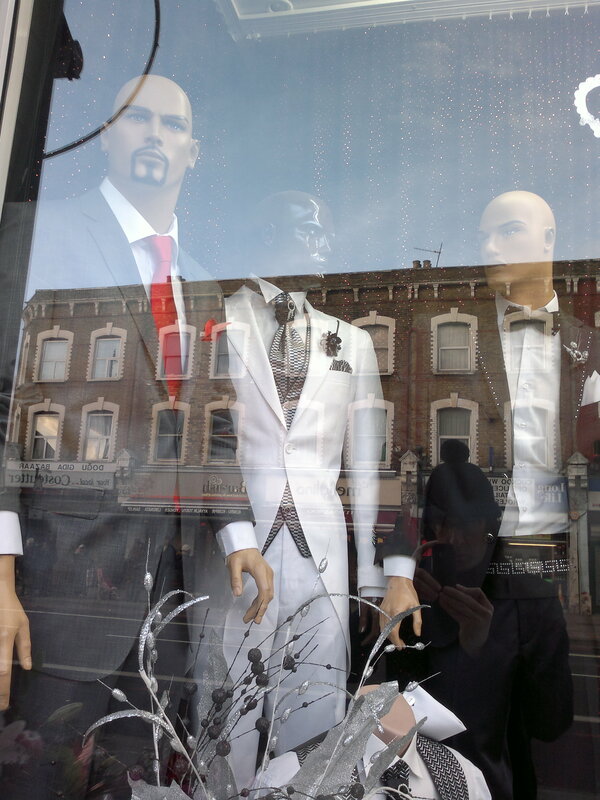 I went into this wedding shop in Dalston and the assistant told me it’s a diorama of the best-man’s speech. Three chairs scrape harshly, three men have risen to their feet in shock as the drunk best man threatens to reveal the whereabouts of the shallow grave they just dug.